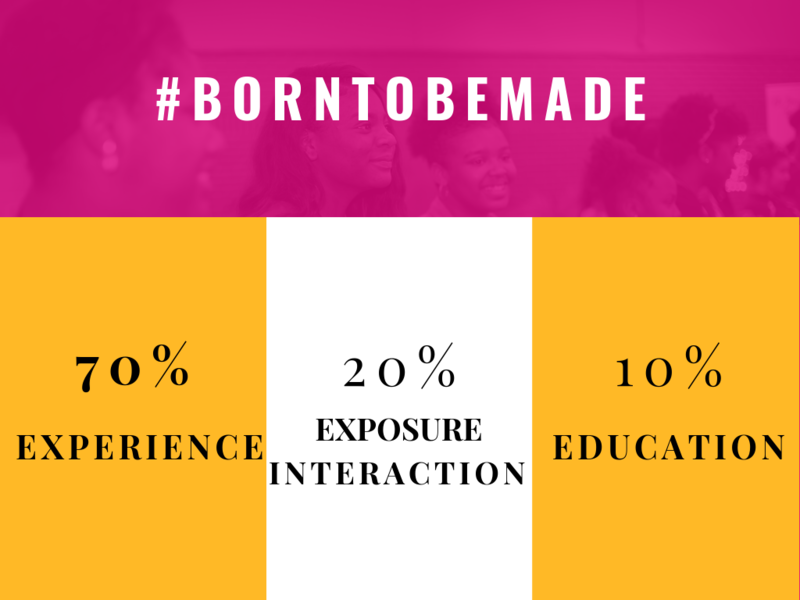 Registration for the Be Made Summit 2019 is now open! Click here to register today! Please contact us for any additional information! M2G is dedicated to young girls between the ages 11-17 displaced from their home and the urban community realize they are born with a purpose and a vision to do great things and to be MADE by fighting social issues and providing guidance to aid in their future. Made 2 Glam offers monthly Glam Sessions, BE MADE Workshops, and many other exciting events! Made 2 Glam desires for the young ladies to realize they can rewrite their story and create a new road map to a destination filled with success. Vision Statement: To increase graduation rates, lower teenage pregnancy, and offer young ladies a rewarding life experience through our programs and events. Each event is curated to give our young ladies an experience, exposure, and an educational component. * M2G uses the 70-20-10 Model for Learning & Development to plan each event.